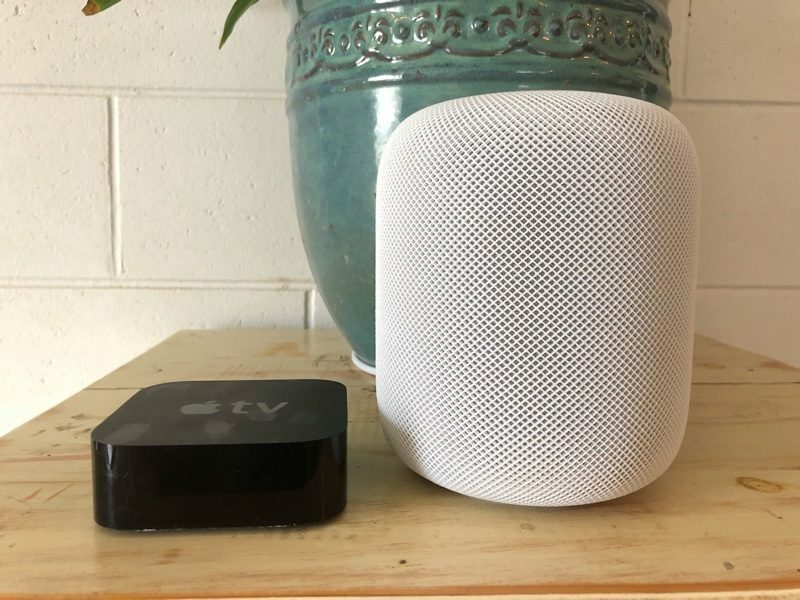 We've seen quite a few HomePod reviews from media sites that Apple invited to test the speaker, but now that the HomePod has officially launched in Australia, HomePod first impressions from regular Apple customers are now available. 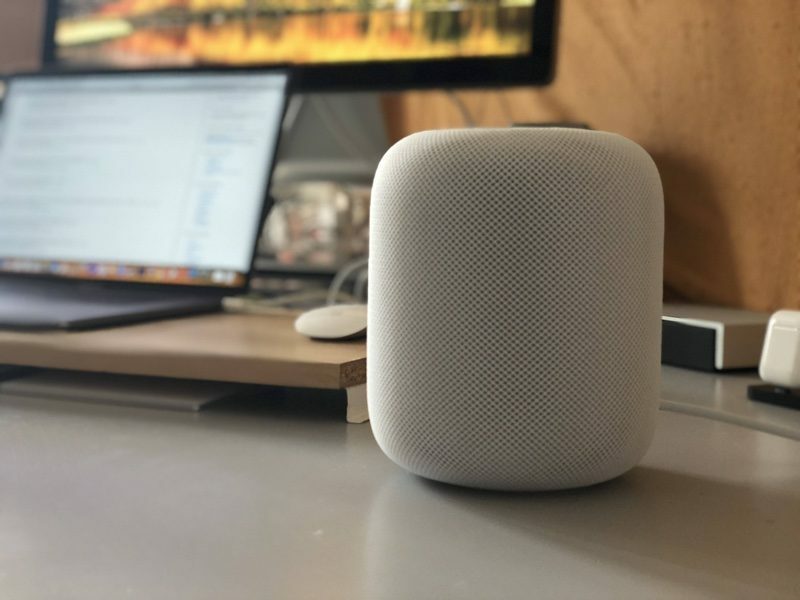 New HomePod owners on reddit, Twitter, and the MacRumors forums have been sharing their opinions on the device, and for those awaiting a HomePod of their own or considering purchasing, these comments from average consumers provide interesting insight. MacRumors reader ApeBot was one of the first to receive a new HomePod in Australia, and he said setting it up was "incredibly fast and easy with an iPhone." As for sound quality, it's "impressive" and "fills the room beautifully." When using "Hey Siri" with other compatible iOS devices around, the HomePod is the device that responds first, something that future owners HomePod have been wondering about. Since iOS 10, with multiple devices around, when you say "Hey Siri" your devices intelligently decide which one should respond, and it's no different with HomePod. Just got my HomePod. Beware, the box lid lifts off.. if you are like me, in your excitement you will hold the box up like Baby Simba in the Lion King and the HomePod will slide straight out the bottom and crash down to the floor. Setup was incredibly fast and easy with my iPhone. Sound quality so far is impressive. Fills the room beautifully. The top display is captivating. Control via control center on my phone is integrated nicely. For me personally, it doesnt feel as familiar as Apple products usually do. Maybe thats because it doesn't have a familiar OS? Reddit user ghostinthelatrine offered to answer questions about the new HomePod, leading to some insightful discussion. He says the HomePod's sound "blows the [Sonos] Play 3 out of the water," and that Siri's voice detection is "phenomenal." Holy crap. Siri's ability to pick up my voice is phenomenal. Really phenomenal. I stood 10 meters away (32.81ft - Thanks, Siri!) with my fridge door open and I was able to just speak like a normal person (this is important for my wife who likes to use the Google Home to set timers, etc.). Felt like I was always shouting at the Google Home. Using the HomePod as a speaker for the Apple TV was "surprisingly quiet," even at a high volume level, though the sound itself was described as "crystal clear." You can also use the HomePod with a Mac as an AirPlay destination from iTunes and it appears as an output device in the Sound settings. Another redditor shared a detailed list of initial impressions, and he too praised the HomePod's sound quality and the ease of activating Siri on the device. - Audio is very good, with impressive clarity and loudness. I'm no audiophile, but I do enjoy music a great deal, and the quality of HomePod is immediately evident from the moment you start using it. AirPlay also worked well from both iOS devices and the Mac, with the exception being AirPlaying content from the Overcast app. His other comments focused on the HomePod's design. The "size and heft" of the device were surprising, and the outer fabric is "soft, but firm." The top of the HomePod, where the touch controls are located, is glossy and smooth, and in a separate tweet, another new HomePod owner said this area is something of a fingerprint magnet. Multiple Twitter users also had thoughts to share on the HomePod, weighing in on everything from the device's sound to Siri to its power cable. On the MacRumors forums, upcoming HomePod owners have also listed some songs they'll be using to test out the HomePod's capabilities when it arrives, including "Hotel California" from The Eagles, "Prelude and Kiara" from Bonobo, "Hits and Exit Wounds" from Alabama 3, "Core" from Stone Temple Pilots, "Your Latest Trick" by Dire Straits, and "Bohemian Rhapsody" by Queen. Once the HomePod launches in the UK and the United States, our forums will be filled with HomePod users sharing their opinions and tips and tricks for using the new speaker. Make sure to check out our HomePod forum to share your thoughts on the new speaker, or post them here in this thread, and stay tuned to MacRumors because we'll have plenty of HomePod coverage both tomorrow and next week. Whatever you do macrumors.....make sure you only post positive reviews....it’ll make all those who overpaid for a limited speaker feel better about themeselves. I'll happily post negative ones too, I just haven't seen any yet. Hmmm idk. I think I would rather read reviews and opinions from people who haven’t listened to it nor have even seen 1 in person. There’s something about those posts that are sooo helpful. Why do you care what people spend their money on? The more I see whining like this the more I know it’s just bugging the crap out of some people that this might actually be a good product. I’ll kick it off. Not completely negative (he liked the audio quality) but the NY Times experience ('https://nyti.ms/2scONUe') was marred by Siri’s ineptitude. Yes, Apple’s marketing HomePod as “speaker first” but they can’t expect to incorporate Siri and then be given a pass on her embarrassing brainlessness. It’s truly incomprehensible how/why Apple keeps rolling out Siri everywhere while not making her smarter, even as the competition pulls away in this department. I think he was referring to customers not media reviewers. What makes Cortana, Google, and Amazon “smarter” than Siri? Aside from being able to order stuff, what truly separates other “smart” servants from Siri? I ask because when I ask for lights to turned on, they are. When I ask for weather, I get it. When I dictate a message, 96.87% of the time, it’s what I said. In word and grammar. So what is that makes Siri “years” behind? I have tried Cortana and Google, and neither, in my experiences, seems “smarter” than Siri. Please provide real world results. Give me at least a line-in port? I know Spotify support is asking far too much, but sheesh. I’m happy for the people for whom this fits, but for my wide range of devices that span much more than HomeKit currently offers, this is not a viable option. My home audio setup combined with Alexa does a stunning job already and I am unsure how it could be beat by the HomePod. I’m an enormous Apple fan, but in the home space, Siri and HomeKit feel like they are far behind a basic combination of Alexa, Ifttt, and a plethora of devices to go with those services. If there is no other point than an excellent speaker with Siri there to offer basic functions and Apple Music integration, then I understand, but for aaaaaaany other reason, I don’t believe this is the best option. 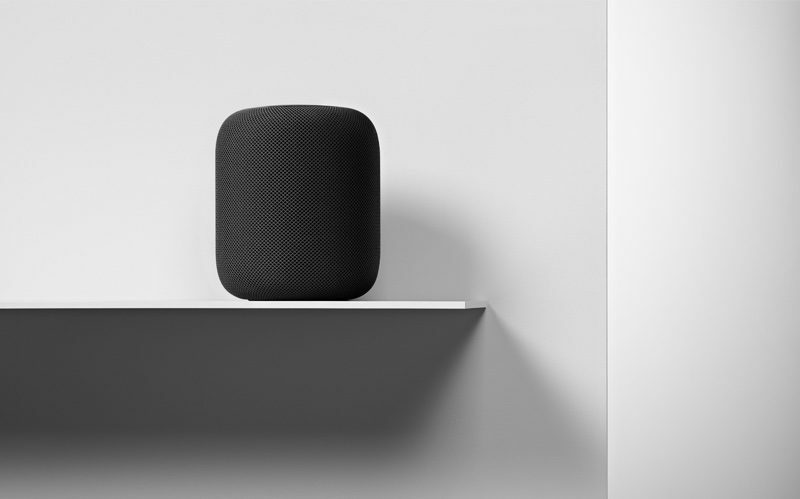 More like "Make sure to check out our dedicated HomePod forum that's also dedicated to HomeKit, CarPlay, Home & Auto Technology"
When you think about it, this is a high-end speaker featuring a smart assistant that hasn't been touched in 7 years. Now that's what I call half baked. Wow. You know a product is good when the negative insecure comments are this lame. I see comments like this all the time around here, but as far as Apple rumor and discussion sites are concerned, Macrumors is by far the most objective. I’ve seen a fair share of criticism posted here. Not sure why some people feel the need to diss it.